The Temple Mount Sifting Project, now in its 10th year, has uncovered hundreds of thousands of invaluable antiquities from tons of ancient debris discarded by Palestinian Muslims like trash from Judaism's holiest site. In 1999, thousands of years' worth of fragile and irreplaceable Jewish archaeological antiquities were surreptitiously and violently dug up by Arab bulldozers at Judaism's holiest site, Jerusalem's Temple Mount, to build an entrance to a subterranean mosque. The resulting thousands of tons of invaluable debris – believed to contain over 1 million artifacts dating back to the First Temple period – were then carted off in dump trunks and discarded like garbage to a nearby landfill in Jerusalem's Kidron Valley. According to internationally recognized archaeologist Gabriel Barkay, PhD, who is the co-director of the Temple Mount Sifting Project, located near Mount Scopus, the removal represents perhaps the greatest archaeological crime in history. "Approximately 400 truckloads saturated with the history of Jerusalem were illicitly removed – barbarically removed – from the Temple Mount by the Islamic Wakf in November 1999 to promote a political agenda," says Barkay at the sifting projects headquarters earlier this month. 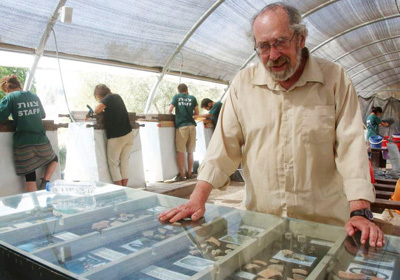 The professor emeritus from the Hebrew University and recipient of the 1996 Jerusalem Prize for Archaeological Research says the debris was taken from the southeastern section of the contested holy site without the knowledge of authorities, including the Israel Antiquities Authority (IAA). "All of that was dug up with bulldozers in a place where even a toothbrush is too large a tool to carry out excavations," he says. "The Temple Mount is the most delicate and the most important archaeological site in this country, and it was never ever excavated because of politics." As a result, Barkay says, the historic plateau where the First and Second Temples once stood has become a "black hole in the history of Jerusalem." "Jerusalem may be the most excavated place on earth, but the most important place in Jerusalem is totally unknown," he says. "It's terra incognita; a piece of unknown land." Although Israel technically regained sovereignty over the Temple Mount after reunifying Jerusalem during the 1967 Six Day War, the government's concession to allow the Jordanian government to oversee the coveted holy site has resulted in what Barclay terms a "catastrophe." "This is part of a cultural war that has been launched against every civilization that is non- Muslim... that continues now in Iraq and Syria with ISIS," he says. Although the IAA is supposed to have oversight of all excavations in Israel, Barkay laments that the Temple Mount – which is home to Al-Aksa Mosque, Islam's third-holiest site – is considered "extraterritorial." "Though the Temple Mount is part of the capital, it is the only place in the State of Israel in which the authorities are not working normally," he explains. "The antiquities authority does not have full jurisdiction on the Temple Mount, and therefore cannot fulfill its legal task." Consequently, illegal Arab construction is routinely carried out there without any coordination with the IAA, Israeli government, or Jerusalem Municipality, resulting in grievous and irreversible damage to the compound's bounty of unrivaled buried artifacts. Asked the degree of loss to Jewish history due to the ongoing destruction, Barkay estimates that it is incalculable. "The Temple Mount is the place that is the soul, heart and spirit of the Jewish people," he reflects. "It is the only holy place for Jews – all synagogues around the world are directed toward the Temple Mount. This is the place where creation began.... and the rest of the world was created around it, according to Jewish tradition." Barkay points out that Arab denial of Jewish history at Judaism's holiest site has only exacerbated the Temple Mount's already contentious geopolitical underpinnings. IN 2004, Barkay and co-director Zachi Dvira created the Temple Mount Sifting Project – under the auspices of Bar-Ilan University – in an effort to reclaim, analyze and document the discarded history. The two archaeologists procured a government license to have the debris transferred to Emek Tzurim National Park, located on the western slopes of Mount Scopus, where the project is headquartered. "Part of it got lost," Barkay says of the enormous transfer, which required hundreds of truckloads. "Part of it got mixed up with modern urban garbage, and some of the material is lost forever." The sifting, Barkay discloses, is operated with aid from the NGO Ir David (City of David) Foundation and cooperation from the Israel National Parks Authority, while research and publication of the findings is funded by private donors through the Israel Archaeology Foundation. "Using the wet-sifting technique, most of the finds can be identified and dated by matching them to parallel finds found in a clear context elsewhere," he says. Unique methodological techniques have been developed in the Temple Mount Sifting Project, "which is somewhere between a survey and an excavation," in order to study the finds. A full-time staff of 20 – aided by thousands of volunteers who have come from around the country, and the globe, over the last 10 years to spend a day, or a few hours to help sift through the massive collection using dozens of hoses connected to sinks – uses advanced quantitative analytical techniques to reveal the unique patterns of the findings. Barkay relates that many of the tens of thousands of buckets of earth that have been sifted contain fragments of pottery, glass vessels, metal objects, bones and mosaic tesserae stones, dating primarily from the First Temple period (10th century BCE ) to the present day. Findings have also included stone vessels, approximately 5,000 ancient coins, various pieces of jewelry, a rich assortment of beads, terracotta figurines, and even clothing, he recounts. The antiquities are sorted and studied at the project's archaeological laboratory downtown, where the processing and analysis of findings are completed and compiled in a large computer database. "We have a representation of 15,000 years of history here," he says. "From prehistoric flint implements, up to finds of the modern time." However, only slightly more than 50 percent of the reclaimed earth has been sifted, and a massive shortfall in the project's funding now seriously endangers the possibility of continuing the work. In an effort to ensure that the project continues, Barkay and Dvira launched a crowdfunding campaign earlier this month. "We depend on private donations, so we initiated this crowdfunding campaign, which can be found on our website half-shekel.org." He adds that the sifting project needs more than $1 million to continue operations. Moreover, despite a growing Arab campaign to rewrite Jewish history at the contested holy site , Barkay says the project's survival is in a race against time. "As the research has advanced, the time necessary, and the number of tasks to be completed, have significantly increased," he said. "I am in my 70s now and we have another 15 years to go here." In the meantime, despite a growing Arab campaign to rewrite Jewish history at the contested holy site, Barkay notes the sifting project has been instrumental in irrefutably proving the inexorable link between Jews and the Temple Mount. "Even now we have new information that may well change the written history of some of the periods of the Temple Mount," he says. 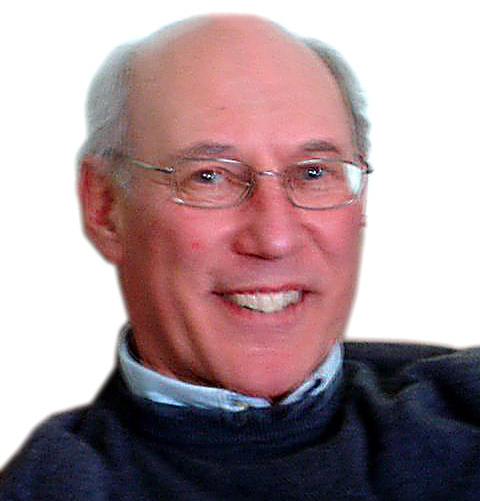 "The sifting project has proven itself to be an inexhaustible source of knowledge for the research and study of the archaeology and history of the Temple Mount, and the project is continuing full steam with many more finds waiting to be discovered by professionals and visitors who come to work at the site." Indeed, Barkay says the tens of thousands of volunteers have become as invaluable to the project as the historic relics they sift through. "There is nothing more touching than to look at the excitement of the face of somebody when he or she touches the soul – the sacred soil – of Jerusalem and of the Temple Mount," he says. "And to look at the face of a child who finds an object which is 2,000 years old... to see the spiritual uplifting, and to see the shining face of that person, is something which is not possible to experience anywhere else but here." And that, he says, "is the most important thing for me here.